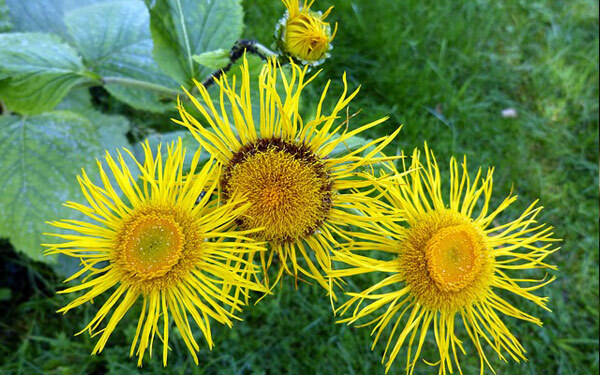 Elecampane - InulaRacemosa is a herb, grows to 1.5 meters, found in Himalayas regions, leaves are oppositely arranged, stalk closed to stem, tapered apex, elliptic lance-shaped, up to 45 cm long. The flowers are yellow; occur in spike-like clusters. Chemical content: Antioxidant, Alantolactone, Germacranolide, Dihydroisoalantotolactone, B- Sitosterol, Mannitol, Dihydroinunolide, Sesquiterpene lactone- inunol, Alantodiene etc.